There have been many changes within the Diocese of Wheeling-Charleston that have taken place since Dec. 9, 2004, the day Pope John Paull II appointed Father Michael Bransfield as the diocese’s eighth bishop. Some folks have been critical following nearly three decades with Bishop Bernard Schmidt in place. He was known as a saver and not as a spender. But many of the changes have led to growth in many areas in the past 11 years, including a plethora of improvements in the offered parochial education. Technology, for example, is now more a priority than ever before at all Catholic schools in West Virginia. 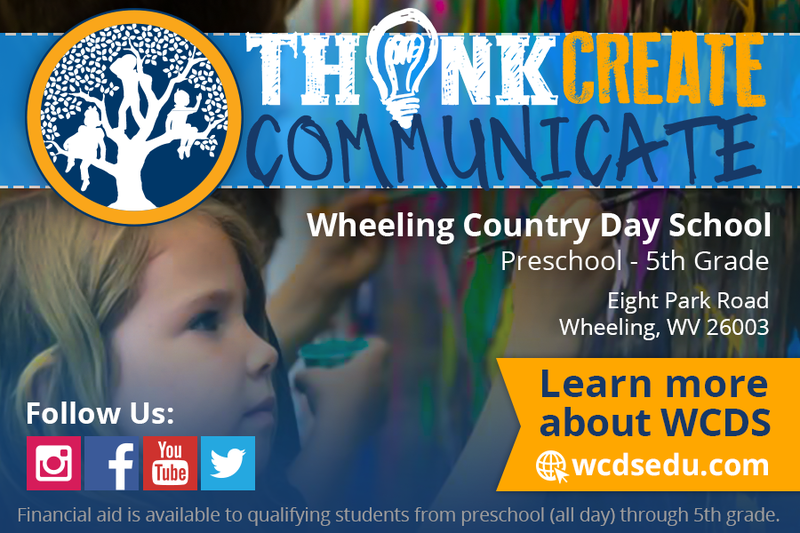 In the Wheeling area, parochial grade schools rest in Warwood, Elm Grove, Woodsdale, and Bethlehem, and Central Catholic High School still sits in East Wheeling as it has for decades. All of the schools appear pretty much the same as they did when I graduated from St. Michael’s in May 1981, but the interiors have been transformed beyond our recognition. 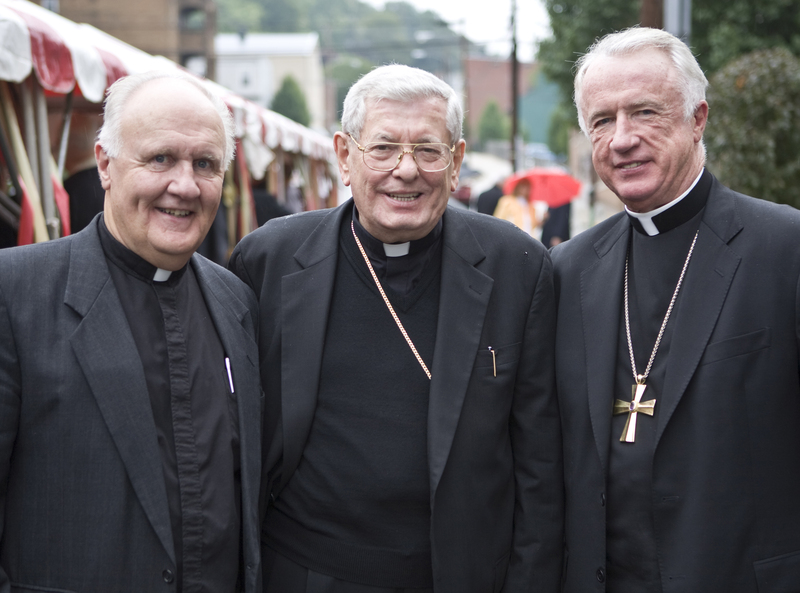 Bishop Bransfield (on the right) with clergy members in Wheeling. For example, the second floor library at Wheeling Central is no longer a traditional library. The books are gone, and the world via the Internet has replaced not only those volumes, but a way of instruction for the students of the 21st century. The widespread poverty throughout the Mountain State remains a consistent concern for Bishop Bransfield, and so is the state’s elderly. And the encyclical delivered by Pope Francis this past week presented Bishop Bransfield a most interesting topic of conversation in West Virginia these days, one that involves the futures of coal, natural gas, and global warming. 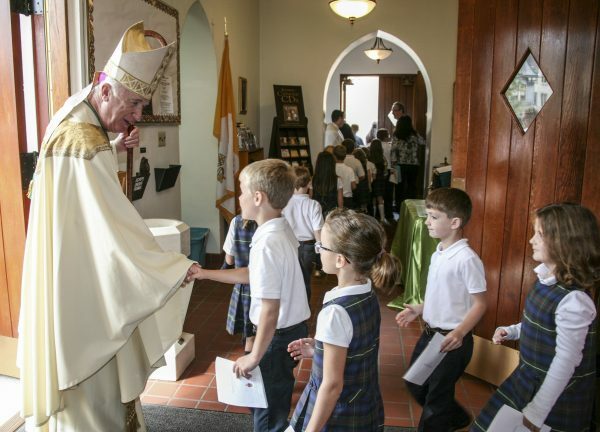 Novotney: The Diocese will soon have its newest school in All Saints in Moundsville. Why was it important for the Diocese to establish a new parochial school in Marshall County following the tragic fire in Benwood? Bransfield: First, I want to thank the first responders, the brave firefighters and other emergency personnel who responded to the tragic fire on the evening of March 30, 2015. It wasn’t the way we expected to begin Holy Week. That night I was driving back from Charleston and received a phone call telling me that St. John’s was on fire and that the upper half of the church was engulfed in flames. The work they did was heroic, and I am grateful for their talents, abilities, and perseverance. 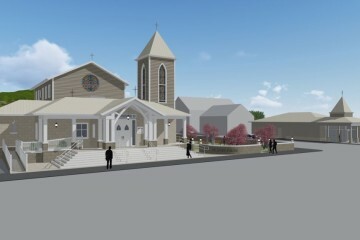 While we will be rebuilding the church in Benwood, we will be unable to bring the school back to its existing location. I was so happy that Fr. That Son Ngyuen in Moundsville welcomed our SS. James & John students to his empty school building at St. Francis Xavier Parish. The tragic fire in Benwood was an unbelievable setback to the fine work being done at SS. James and John over the past several years, to be sure. However, it is important to realize the strongest possible commitment has been made to the good people of Marshall County. If a school could not remain in Benwood, for safety reasons and concerns, what better way to serve Marshall County than in the county seat and center of the county? Being in Moundsville, the proximity not only allows the Diocese to continue to serve the former Sts. James and John students, but it also further establishes a footprint which allows us to reach further down Route 2 into the regions that previously were not willing to travel as far north as Benwood. While the fire at St. John’s has caused much heartache and concern for parishioners and school families, we have been able to make a transition to the new All Saints Catholic School, and I am grateful for the sacrifices made by school families, students, faculty and staff. They have not gone unnoticed. Bishop Bransfield meets with St. Michael’s students. 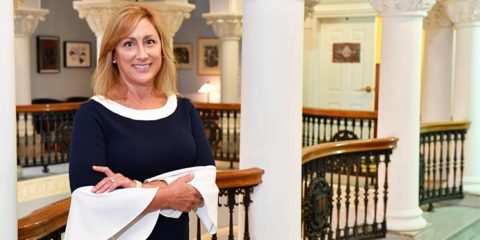 Novotney: The superintendent for the Department of Schools visited China in June in hopes of establishing a new program involving Chinese students attending parochial schools in West Virginia. Why is this program important at this time? Bransfield: Three years ago, Dr. Vincent de Paul Schmidt, our Superintendent of Catholic Schools for our Diocese, was told by the Assistant Commerce Secretary in Washington, D.C., that if American schools’ focus remains Euro-Centric (teaching Spanish, French, Latin, modern European history, etc), they will be behind the rest of the world within 15 years. American schools must become aware of the economic structure, culture, methods of business, and the history and languages of Asian nations. The Diocese of Wheeling-Charleston has established a goal to be the first Catholic school program in the country to have Mandarin in all its schools. We have recognized an opportunity in our programming to push our students to a higher level and become leaders locally and nationally. The Diocese of Wheeling-Charleston is working to achieve that through our Asian partnerships. Novotney: How has the implementation of technology improved the curriculum throughout parochial schools in West Virginia? Bransfield: The Diocese of Wheeling-Charleston is committed to moving our students to a higher level of academic achievement, and our investment and attention to Catholic education within the State of West Virginia speaks to that commitment. Technology is a key tool or component to achievement, and, if left unaddressed, it will put our students at a distinct disadvantage. To that end, the Diocese has in the last five years dedicated our efforts to addressing the issue of technology in our schools. Our schools’ office has a staff member dedicated to not only improving but integrating our technology into our curriculum. That is really they key to any investment in this area—the integration. Technology for technology’s sake is a missed opportunity and a waste of resources. In addition, many of our schools have migrated toward a one-to-one platform for our students. Of course there has been the design, build-out and integration of our TEAL Lab at Wheeling Central that not only puts the highest levels of technology in the hands of our students, but links them to the great world for education, opportunity, and an expansion of our curriculum beyond what the texts and resources of past decades could deliver. Now all of this shows wonderful progress, but these accomplishments mean nothing if we do not focus through the lens of our Catholic heritage. We still focus on moral, ethical, and spiritual issues in our high-tech schools, and we hope faith-based learning continues to mold and shape the lives of our students who are so connected digitally. 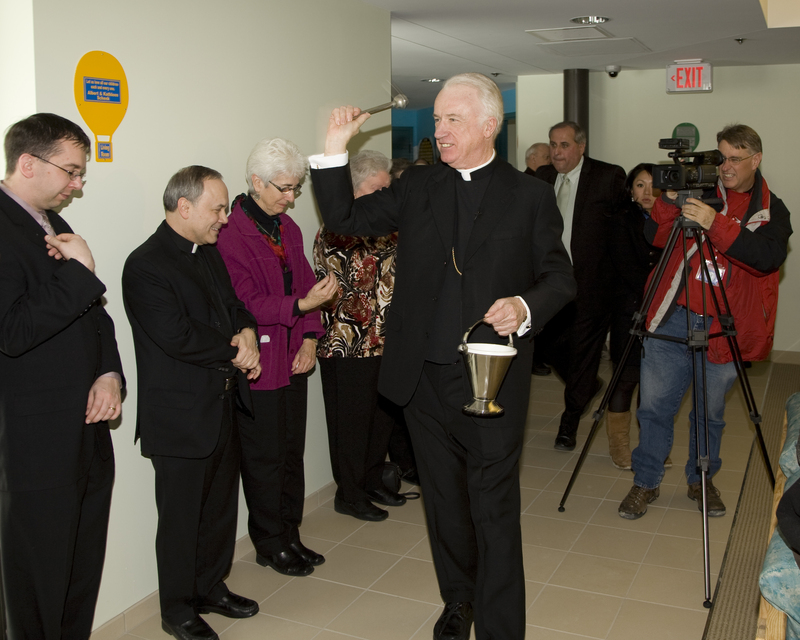 Bishop Bransfield blesses all of the capital improvements the diocese has made in the past 11 years. Novotney: How will these schools be able to keep pace with the constant introductions to new, education-based technology? Bransfield: To keep pace with the advances in technology, Diocese must be constantly aware of new trends in educational technology and research how these advances could benefit the students in our Catholic schools. New trends in technology can be seen across the nation and are oftentimes shared at national conferences and in educational technology publications. Learning from these opportunities, The Department of Catholic Schools makes every effort to offer professional development to our teachers, administrators, and support staffs on advances in technology to share information and training about just where these advances can take our Catholic schools. After the professional development opportunities and trainings, teachers and principals are given the freedom to return to their schools to evaluate how the new advances in technology could be implemented at their specific school to meet the needs of our Catholic students. There is much work to do, but I am happy to say that it is being done. I want to particularly thank our teachers in our 27 schools, who have the unenviable task of staying ahead of their students. That is not an easy task! Novotney: Do you feel global capitalism has impacted Catholic schools in West Virginia? If so, how? If not, why not? Bransfield: I don’t think there is a direct correlation between our schools and global capitalism, per se. However, to say the changes in global economics have not influenced our students, and therefore our schools, via their family structure or community culture would be shortsighted. Surely, our classrooms are filed with students whose parents are living the new norm in terms of economics. Families that have both parents working to provide (and grandparents in many cases) tuition and other expenses impact students in our classrooms. The new formats of wage earning possibilities, such as the oil and gas markets, remote computer worksites, etc., all impact the family structure and are the result of an ever changing world market. Our schools have to adapt to this student and the assimilation to what is now the new expectation of a school to meet the ever-changing support structure of the individual student in the classroom. The Diocese is committed to that level of effort to serve, at the highest level, our students daily. Novotney: The Diocese of Wheeling-Charleston has made a commitment to make a Catholic education affordable for any interested family. How will that continue in the future? Bransfield: This is perhaps one of my most passionate concerns. While costs associated with the operations of a Catholic school have steadily increased over the years, and that trend will no doubt continue, tuition must also increase to meet these operational increases. The Diocese stands committed to provide the best environment in our Catholic schools for its students and a living wage and benefits for the staffs of our schools. However, despite the tuition increases that are inevitable, there have been substantial tuition assistance increases as well. This year alone there has been $905,000.00 in direct tuition assistance from the Diocese to those that are most in need. Let me be clear—any Catholic student that wants to attend a school in our system should not let cost be a deterrent. I am most proud that through the partnership with parishes providing support, endowment funds established at the local school level to offer support coupled with the Diocesan funds we are providing Catholic education to our students despite their financial ability to pay the prescribed tuition. Furthermore, we have a number of endowment funds in our West Virginia Catholic Foundation that have been put in place by a number of generous benefactors. Last year, a local resident provided a $1.4 million endowment for Central Catholic High School for tuition assistance. This generated $70,000 in the fund’s first year in tuition support, which has made a remarkable difference in the lives of our students. 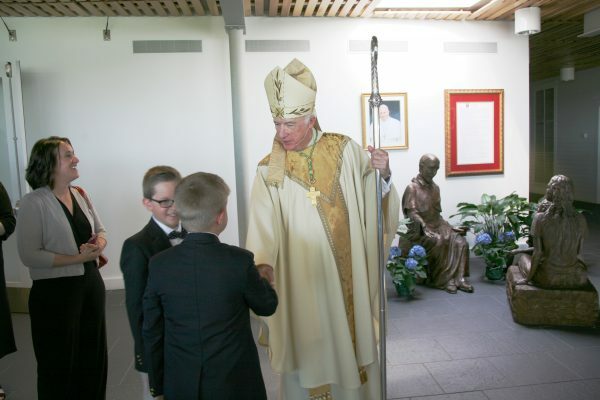 Planned giving and estate gifts can become an important part of the future vitality and security of our schools, and I am so grateful to the generous individuals and families for their ongoing charitable support of Catholic education. 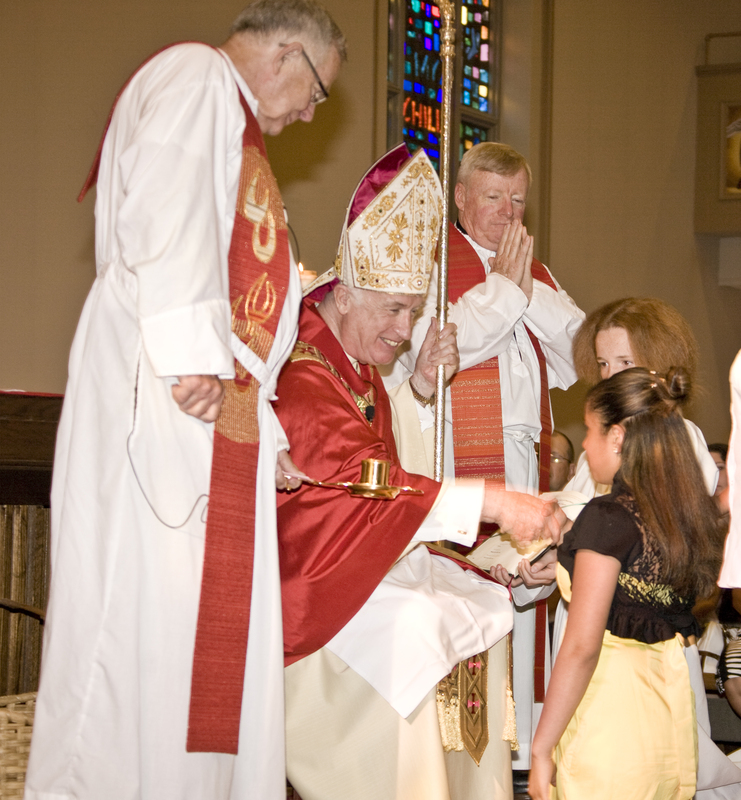 Bishop Bransfield has celebrated Mass all over the state of West Virginia. 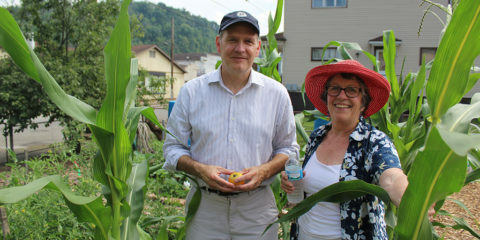 Novotney: You have consistently addressed issues connected to poverty throughout West Virginia. Have you witnessed any improvements, or has the situation worsened over the past decade? Bransfield: I have witnessed positive and negative changes in poverty since arriving in West Virginia 10 years ago. While the plight of our children living in poverty has not changed much, the expansion of Medicaid services to children who are from low-income families is a step in the right direction. Catholic social teaching supports adequate and affordable health care for all. Our national and state health care policy must protect human life and dignity, not threaten them, especially for the most voiceless and vulnerable. Such an effort underscores West Virginians’ traditional concern for the dignity of all, and it reflects the teachings of Christ, who in his own life and work reached out to heal the sick and care for the poor. I am grateful that we are moving in the right direction. However, we have to remember that West Virginia experiences higher incidents of low birth weight and infant mortality than the national average. The child death rate is higher, as is the percentage of children approved for free and reduced-price school meals. The child abuse and neglect rate is above the national average, as are the number of children with poor oral health, the teen birth rate, and percentage of births to unmarried teens. All of these statistics, taken together give a clear understanding of the experience of poverty among young people and its consequences for their health. To help the children of our state rise from poverty will take a wide variety of approaches. Extending compassionate care to children means that we should work for public policies regarding health (including the effects on children from parents with behavioral health problems like addiction and mental illness) and education which will provide a springboard to a better life. All too often those involved in education in West Virginia are faced with the interacting problems in the lives of students that combine to undermine the chances for academic success: stresses due to poverty, to addictions, to chronic health problems in their families. The solution for low academic achievement engages a number of factors and initiatives outside the schoolhouse walls, and I hope we can continue specific conversations with state leadership to improve the lives of our youth who live in poverty. Meeting with parish members in the Mountain State has always been a priority for Bishop Bransfield. 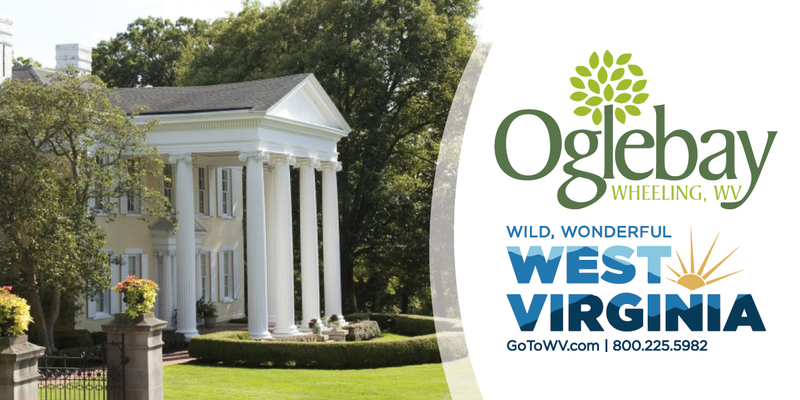 Novotney: Just as the average age of West Virginia residents has increased over the past decade, so has the average age of the Diocese’s congregations. 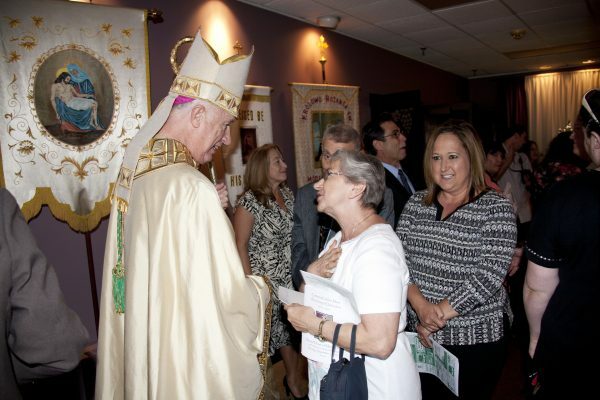 Please explain the efforts that are being made to attract new, younger Catholics to parishes throughout the state. Bransfield: We could talk for days about the importance of preaching, music, and vibrant liturgies and how integral they are to attracting youth. I’d like to discuss some of the many ways we seek to affect the lives of the younger generations in the Church. We have tried to enliven confirmation retreats for middle school youth in our parishes and schools. Having attended these retreats for the past two years, I commend the staff members who are able to make them happen. We are also expanding summer camp offerings at our farm and campsite in Huttonsville. Summer camp is a wonderful place to encounter Christ, and with new and expanded facilities, we can bring more young people into nature to enjoy this beautiful space. Through Bob Perron, our youth ministry director, we are able to expand youth ministry opportunities in our parishes. One of the largest initiatives in youth ministry in the history of our Diocese is the VCAT project. We have funded the production of a number of award-winning videos that are of interest to youth and young adults, but they really don’t see them as being catechetical by nature. They are short enough to appeal to youth, but they have the depth of message to help teach and guide them. Kids today live on their phones, and we have to find a space on the internet to evangelize to them. 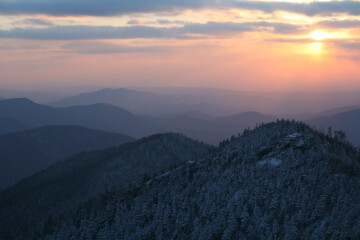 I invite your readers to watch our videos at http://vcat.org. Novotney: What challenges are being faced by our elderly, and how will the Diocese continue to fight for the rights of the elderly in West Virginia? Bransfield: Last month, I published my fifth pastoral letter and focused on the elderly. The lives of older adults have been marked by devotion to their faith and their families. I have seen how much our parish communities and pastors depend on older members for service as liturgical ministers, catechists, and outreach volunteers. At the same time, these men and women are the most in need of pastoral ministry and charitable assistance, especially those living at home on their own. There are many important roles that elders play in our parishes and communities, and I think we should work as a society to draw attention to the particular issues they face, and to provide some concrete suggestions for response. How do we fight for the rights of the elderly? We need to foster the growth of effective palliative care and of the hospice movement. We need to focus on legislation that protects the poor, particularly those living below or near the poverty line. We know that Social Security is not enough by itself to keep seniors out of poverty. In the Wheeling area, the Church has responded to the needs of our older community by expanding the number of units at the Welty Apartments, continuing to improve services and adding rooms at Good Shepherd Nursing Home, and continuing to expand and grow services at Wheeling Hospital, which has been a beacon of hope for older residents in the Ohio Valley for decades. Practically speaking, we also as a community have a responsibility to check in on our older family members and neighbors. Remember the advice Pope Francis told a group of young Catholics earlier this year: Spend time with the elderly. You will make them happy, you will learn much, and it is a grace-filled moment for all. 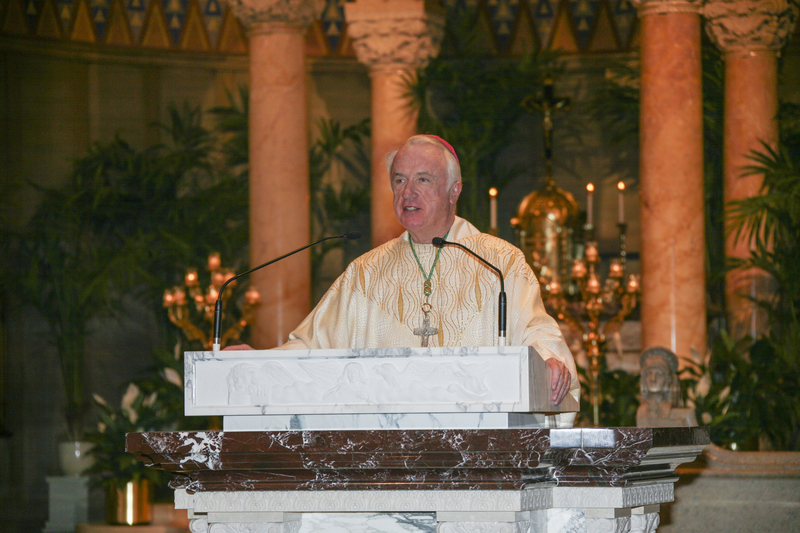 He was born in Philadelphia and was ordained into priesthood in 1971. 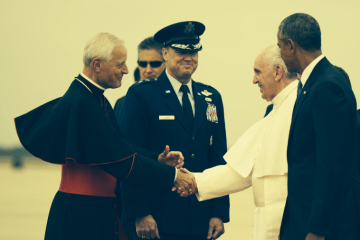 Novotney: How will you forward the message sent this week by Pope Francis in his most recent encyclical? Bransfield: The overall message I take from Laudato Si is that the Holy Father is asking us to take a second look at how we are living in and taking care of our common home. He is challenging the “throwaway” consumer culture in today’s world. I admit that Pope Francis does suggest we reduce our reliance on fossil fuels, and that is a tough issue to bring up in West Virginia. However, in the very next sentence of his encyclical, he says we should do so “only after greater progress is made in developing widely accessible sources of renewable energy.” He challenges policymakers and business leaders to consider ways to pay for this transition, and he cautions against the loss of economic opportunity for workers. Having visited so many people across West Virginia, and we have driven tens of thousands of miles into almost every small town you can think of, I am keenly aware of how integrated questions related to social justice are in debates related to the environment. I see and hear the plight of those who can least afford to be left behind—working families. We were created with a vocation to work. Work is a necessity, part of the meaning of life on this earth, a path to growth, human development, and personal fulfillment. Helping the poor financially must always be a provisional solution in the face of pressing needs. The broader objective should always be to allow them a dignified life through work. To stop investing in people in order to gain greater short-term financial gain is bad business for society. The social dimensions of global change include the effects of technological innovations on employment, social exclusion, an inequitable distribution and consumption of energy and other services, social breakdown, increased violence and a rise in new forms of social aggression, drug trafficking, growing drug use by young people, and the loss of identity. These are signs that the growth of the past two centuries has not always led to an integral development and an improvement in the quality of life. The Catholic Diocese and other members of the W.Va. Council of Churches are very interested in supporting this conversation and dialogue with leaders and innovators. 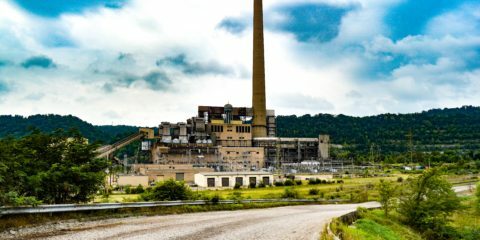 Although this may be a very long process, we look forward to working with conscientious laypeople to secure the future for those involved in coal mining and for all the people of West Virginia. Finally, a point I would like to make: Pope Francis did not provide a blueprint with specific points for us to follow, but he did provide a vast framework for discussion so that facts can be analyzed and how moral judgment can be based on the data that is available. I look forward to an ongoing discussion on a number of the topics raised by Pope Francis in his encyclical.